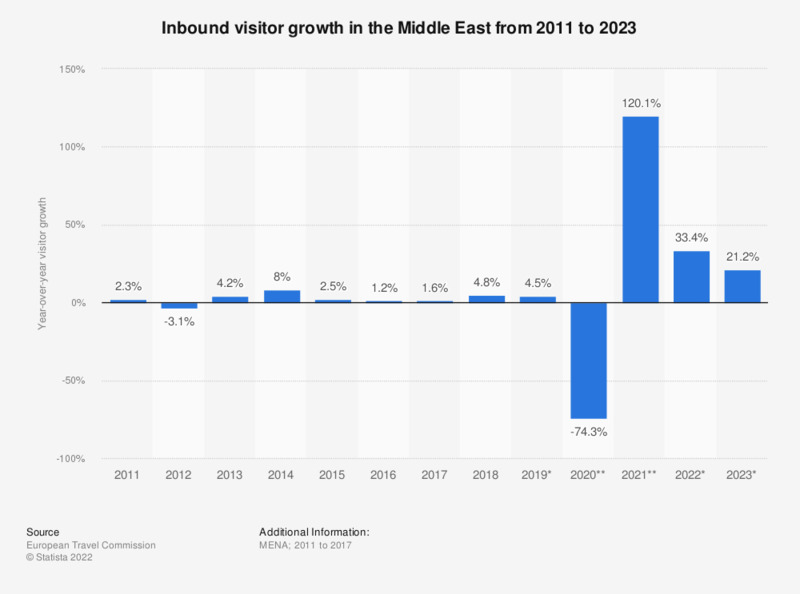 This statistic shows inbound visitor growth in the Middle East from 2011 to 2019. In 2016, inbound visitor numbers to the Middle East grew by 1.2 percent and by around 2.5 percent in the previous year, showing a decline compared to eight percent growth in 2014. Figures for 2011 to 2014 come from earlier reports.